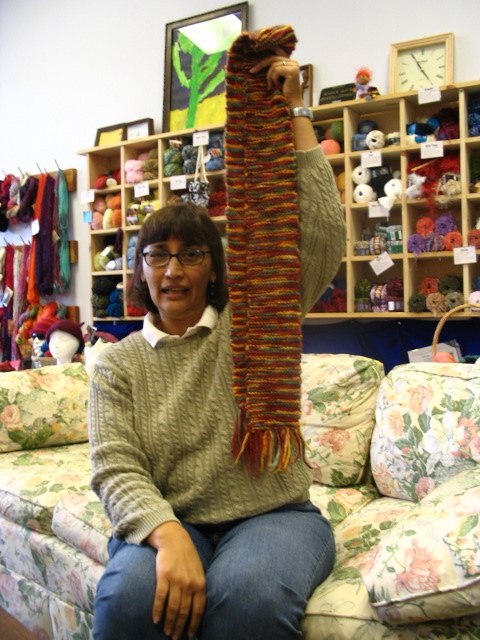 That Yarn Store - Our customers are awesome! Honey looks comfy (or about to pounce?) in her new bed knitted by Linda. Susan's first crochet project in over 15 years... I'm impressed. Mercy 's mindblowing Colorspun socks. We had no idea it would turn out like that either. Lovely hat, lovely flowers (yay petals), strange child. A scarf by Sarah made with ribbon twist. 1) awesome button 2) fuzzy top 3) sturdy purse handle 4) simple shape. Perfect! I would have never invisioned Pom Pom would make such a great shawl! What creativity! "Button, Button, who's got a button?" Ulli makes some wonderful sweaters for her child and this one is made out of Blue Heron! Oh my goodness, a floating head! But what a nice scarf he's wearing. Ella is wearing one of the coolest sweaters we've seen! It's made with one ball of the sockotta. 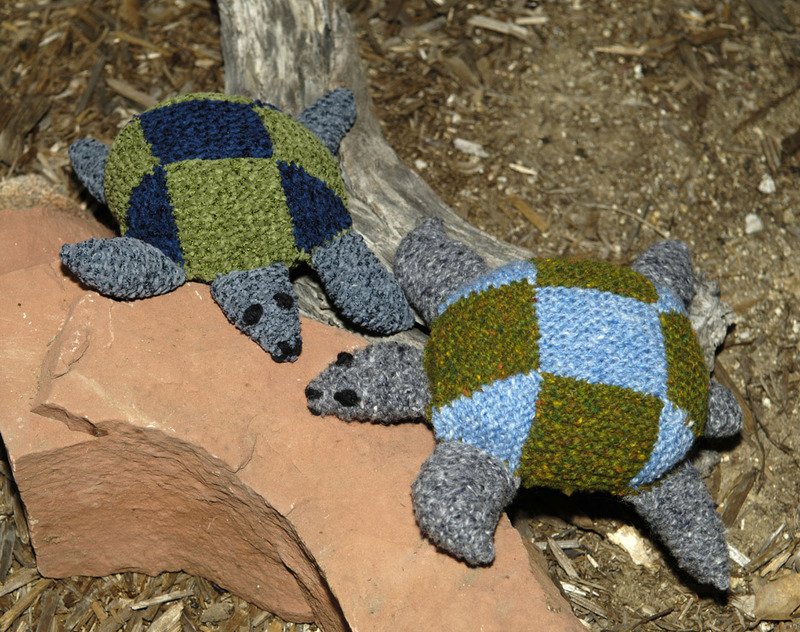 Two cuties by Judy (judykits.com), made with Harris DK and Velourine. Jill's Alpaca Grande scarf using only one skein! This is Nicole with her first crochet project, a baby blanket. Great job Nicole! A very cute child and his new very cute doll. Denise and her first finished project! Love the tassles. Max and his recent projects. 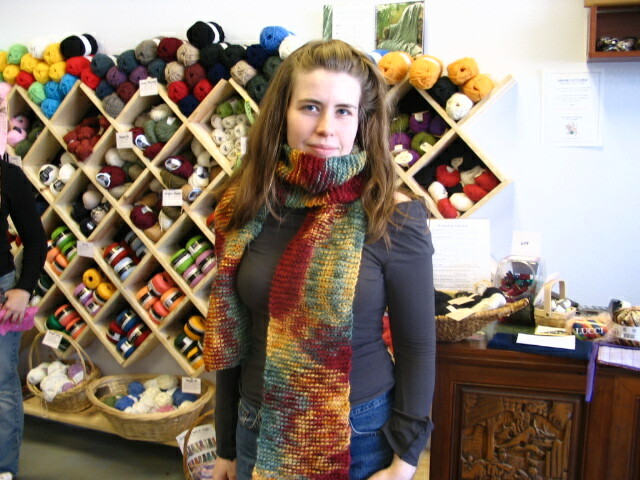 Emily is keeping warm with her Rio de La Plata scarf.